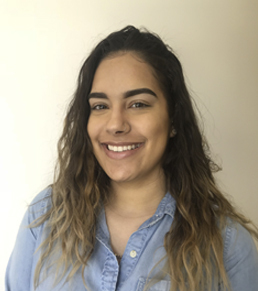 Born in the Dominican Republic and raised in Boston, Julissa has more than ten years of dental office management/administration experience. She prides herself on building lasting relationships with patients and being able to help them with their dental insurance questions and financial options. She appreciates the importance of not only understanding the reason for your visit, but the importance of providing patients with the confidence and ease of continuing their care. From the moment you walk in, to the moment you walk out, you can expect Julissa to give you respect, kindness and a feeling that you are not just a patient, but a friend of the office. Along with the rest of the staff at Harmony, her goal is to make you feel comfortable and that your experience at our office is a pleasant one. Julissa is a results-oriented person and believes that continuing education is important. She earned an Interior Design degree at the Massachusetts Bay Community College in 2010 and is now furthering her education by completing part-time courses in the Ultra Sonography program at Bunker Hill Community College. She recently purchased a second home and continues to educate herself on residential renovation and property management. In her spare time, Julissa bakes special occasion cakes, travels whenever possible and loves to spend quality time with her husband and their two beautiful boys—Eduard Jr. and Leniel—as well as with their adorable Yorkshire terrier, Tobi. Angela was born and raised in Boston, MA and later moved to Cary, North Carolina where she resided for 4 years before attending West Virginia University—a college that has one of the only accredited and fully integrated hygiene programs in the country. After receiving her Bachelor of Science degree in Dental Hygiene, she decided to move back to Boston to start her career in the dental field. After expressing a keen interest in a more holistic/organic approach to dentistry, her aunt—a former colleague of Dr. Yuko's—recommended her to Harmony. Outside of our practice, Angela enjoys training for local marathons, traveling, and spending quality time with friends and family. 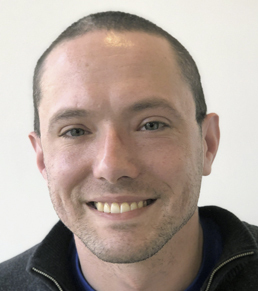 • Van Liere award recipient for senior capstone project on "Common Infection Control Infractions Found at WVU SoD Main Clinic"
Born in the plains of Racine, Wisconsin and raised in Connecticut, Joel brings a Midwestern gentility and New England familiarity to your dental experience. A graduate of A.I Prince in Hartford for Dental Assisting and an artist in his spare time, you can rely on his skillful hands, care ethic, and welcoming demeanor to shine through during your time before, during and after your visit to our office. Feel free to ask him any questions about your appointment. When Joel isn't providing our patients with hiqh-quality care and genuine compassion, he contributes to ablegamers.com, better known as "The Ablegamers Charity" (Ablegamers Foundation). The Able Gamers Charity is a nonprofit public charity that aims to improve the overall quality of life for those with disabilities through the power of video games. They achieve this goal by introducing "adaptive" technology that helps gamers with disabilities regardless of age, get back into gaming. They provide grants to those who cannot afford the devices and information through their site for gamers and game developers and hardware developers to help them create ways to make their games more accessible. Joel also delves into his artistic and creative side though the creation of cosplay characters and manipulating images in Adobe Photoshop and sculpting science fiction and comic book figurines. Born and raised in Orange County, California, Emily traveled from the West Coast to pursue her passion of dentistry. She recently graduated from the University of Washington in Seattle where she studied Biology. She has now moved to Boston in the hopes that she can make ties and connections to the esteemed dental schools of New England. Emily has completed the Dental Assisting Training program at the Henry M. Goldman School of Dental Medicine and earned a National Entry Level Dental Assistant certificate. She hopes to use her experience from the University of Washington as well as her time as an orthodontal assistant to best serve her future patients at Harmony. At Boston University, Emily met Dr. Yuko and kick-started her career as a dental assistant. She is thrilled to be a part of the staff and looks forward to sharing her knowledge with patients and furthering her skills with the goal of providing better patient care. Outside of the practice, she enjoys hiking, going to the beach, traveling, and spending time with friends and family. Born and raised in Woburn, Sheila attended the Bryman Institute to become a Registered Dental Assistant. Prior to joining Harmony, she worked at Chestnut Hill Dental for six years, also with Dr.Yuko. A desire to live in South Florida made her move to Fort Lauderdale where she lived for 6 1/2 years. While there, she met her boyfriend and together they created Lola and Lucille. their beautiful twin girls. Sheila and her new family moved back to New England to be closer to her family and to reunite with Dr. Yuko. Sheila loves the beach and warm weather. Her favorite thing to do is spend time with her girls, her family, going shopping and anything that has to do with the outdoors. Her goals in life are to be the best mom possible, to grow and learn at Harmony and to be the best person she can be! Born and raised in Riverside, Rhode Island, Manuela attended Providence College and graduated in 2014. She received a major in Biology and a minor in Theatre. Her father is a dentist and her mother is the office manager and a trained lab technician which means Manuela was exposed to the dental field at an early age. She is currently enrolled in the Masters program at Boston University where she is pursuing a degree in Oral Health Sciences. Over the last few years, she has developed a passion for natural living and holistic medicine and was thrilled to have found Harmony and our holistic approach to dentistry. After she obtains her Masters degree, she plans on attending dental school and start her dream of becoming a dentist. We are as excited as she is to have her as part of the Harmony family. When she isn’t pursuing a career in dentistry, she enjoys cooking, traveling, listening to music, dancing, and spending time with friends and family. Born and raised in Boston to a big Dominican family, Aislyn is our office manager’s sister-in-law. She is currently a full-time student at Northeastern University where she is studying architecture. Aislyn is extremely dexterous and loves to be challenged creatively. When she isn’t treating our patients with respect, kindness and compassion or handling the many duties involved at the front desk, she is working diligently at her architectural studies or spending time with friends and family. Aislyn also expresses her creative talents through knitting. Born in Wolcott, Connecticut, Ryan lived in Ridgeland, Mississippi for six years before moving back to New England at the age of ten. He graduated from Wolcott High School and was in the top 10% of his class and afterwards, attended Western New England College in Springfield. Prior to joining Harmony, Ryan specialized in corporate payroll and compliance in Connecticut. His hobbies include reading, watching television and playing tennis. He is also a huge fan of the UConn Women’s Basketball team. Born and raised in Brooklyn, Eddy comes to us from the world of advertising and experiential marketing and brings a variety of skills that will help our office provide high-quality service to our patients. He is our resident "jack of all trades" and is responsible for ensuring that Harmony is running smoothly and that patients are treated with respect, compassion and kindness. He will help with front desk duties, administration, insurance, billing, technology support, social media and patient management. When he's not in the office, you might find him at a golf course, sketching in public or with a camera in tow, shooting on the streets of Boston. He is also an avid reader and self-published author of numerous books of poetry on iTunes.